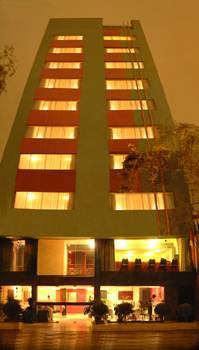 Located in the best part of Miraflores, the commercial and turisty district of Lima. Mariel Hotel is 25 minutes from the international airport, 5 minutes to the Pacific Ocean, 2 blocks to the center of Miraflores, close to the biggest handcraft Indian markets but in a quiet street also. This, and the combination of a 5 star hotel service with the personal attention and of a family hotel makes Mariel your best choice in Miraflores. Rooms are equiped with tv cable, private bathroom with hot water 24 hours air conditioned. Minibar, wake up calls and local natioanl and international direct dial. Internet wireless conexion.